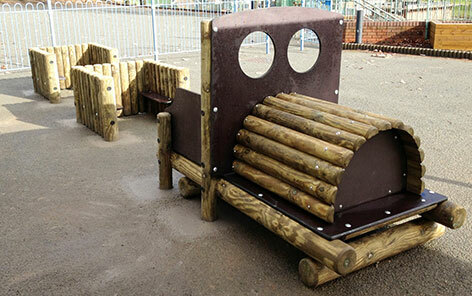 “Starting an uncertain journey” is how most customers of ours have described the beginning of a new Play Area Project. Do not fear! We are happy to share our experience and top tips to help get all or part of your project funding underway. 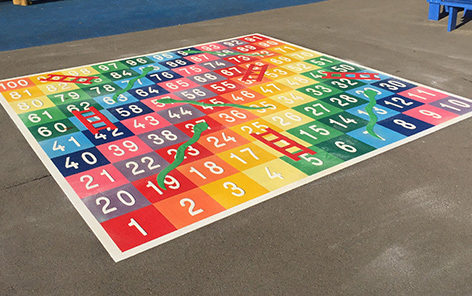 What is the need/primary use for your playground? What deadline are we working towards? A visual funding counter at the front of the school always helps as everyone involved can see the progress towards your common goal. Companies and local funders can also be more motivated to help out when they have a visual reference of how much hard work has been put into an existing project. Awards for All provides grants of up to £10,000 for schools and charities for art, sport, heritage and community activities, and projects that promote education, the environment and health in the local community. Schools can apply directly without charitable status and offers a simple application form and quick turnaround with no deadlines. 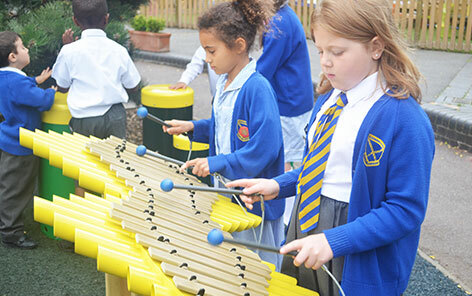 The Purcell School in Bushey received a grant of £100,000 from the Garfield Weston Foundation towards its capital expansion. Brackenbury Primary School received a grant of £10,000 from the Foundation to help with the renovation of a disused and derelict Victorian school building, with the aim to creating a new space for the arts and sport. St Michael’s Primary School, Withyham received a grant of £5,000 to help in the completion of a new classroom for the “Early Years”, a new hall/library and IT suite. Southend High Schools for Boys received a grant of £5,000 to help equip and complete a new Sports Hall and Music Centre. The Ernest Cook Trust is a charitable body charged with the dual role of maintaining the estates given to it by Ernest Cook, and all that they stand for, and giving money to support educational and research projects. Many of the schemes it supports relate to the countryside and environmental and architectural conservation, and are all educational in emphasis. Grants range from £100 – £3,000 in the small grants category and £3,000 – £10,000 in the main grants category. Tilney St Lawrence Community Primary School in Norfolk was awarded £2,000 by the Ernst Cook Trust to help with the cost of whiteboard and projector. Morriston Primary School received a grant of £1,730 from the Trust small grants programme to purchase outdoor educational items such as a weather station. St Mary’s Primary & Nursery School in Manchester was awarded £1,500 by the Ernst Cook Trust to help with the running costs of a study club. The Foyle Foundation is an independent grantmaking trust that distributes grants to UK charities. The Foundation does not support applications from individuals. Since it became operational in November 2001, The Foundation has disbursed £41.4M in grants (to the year ending June 2010). The Foundation now operates a Main Grants Scheme supporting charities whose core work covers Arts and Learning and a Small Grants Scheme covering small charities in all fields. Kelling Primary School, Holt was awarded £35,000 through the Foyle Foundation Learning programme to enable it to replace a second of two mobile classrooms in a school serving a rural area. In addition it received a further grant of £15,000 for building 2 new classrooms and an open space link. The Charles Dickens School in London received a grant of £40,000 from the Foyle Foundation to convert an old Assembly Hall into a Library. Mulberry Bush School, Witney was awarded £25,000 towards a multi-purpose hall so that this special education needs school can provide a full curriculum. Biffaward, is a grant scheme funded by Biffa Waste Services, through the landfill tax credits scheme, which levies a tax on all Landfill operators in order to fund environment and community projects within a certain distance from the Landfill sites. They provide small grants and main grants to improve community facilities. Every Co-operative Group Dividend cardholder has the option to donate the ‘odd pence’ from their twice-yearly Dividend payments to the Co-operative Community Dividend programme. The programme uses the money raised to support a range of community projects. 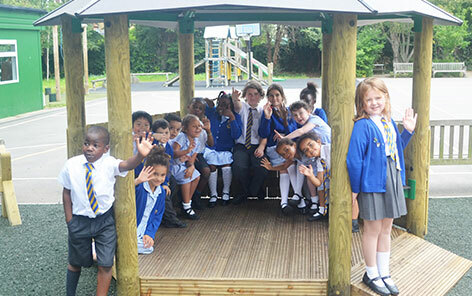 Blackboys Pre-school in East Sussex received a grant of £1,350 from the Community Dividend to develop its garden and buy outdoor equipment for the children to use. The Football Foundation is a partnership funded by The F.A. Premier League, The FA and the Government. The Foundation is the largest sports charity in the UK and provides grants of between £100 and £1 million to revitalise grass roots sport, investing in parks, schools and playing fields and harnessing the power of the game within local communities and to promote education and social inclusion. Ashfield School in Nottinghamshire received a grant of £196,000 from the Football Foundation towards the installation of an ‘all weather’ Football Pitch. 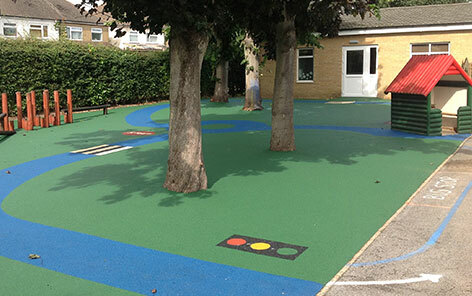 A national charity that works with school communities to improve their school grounds. Learning Through Landscapes manage a range of initiatives and programmes that seek to promote and enhance the development, use and value of school grounds in diverse and innovative ways. The Charity works at both national and regional levels. Support is available in terms of advice and assistance and / or grants. The Foundation is a grant-giving organisation which concentrates its support on education, the arts, museum and gallery education, cultural leadership training, health and social welfare, whilst placing a particular emphasis on supporting children, young people and society’s more vulnerable individuals. The Foundation has two distinct grant-making strands: the Main Grants Programme and a Small Grants Programme which is currently under review. Worth visiting their criteria as they have supported schools to a large degree in the past. Small Grant Schemes Schools are eligible to apply individually or in partnership with other public, private or voluntary sector organisations for grants of up to £10,000. Big Lottery Fund Community Spaces is a £50 million grants programme. The programme provides grants of between £10,000 and £450,000 to help not-for profit community groups create or improve green and open spaces. Organisations that can apply include schools. The type of activities funded can include improvements to play areas, community gardens, parks, wildlife areas, ponds, courts and village greens, etc. Arts Council England will provide small capital grants through their existing ‘Grants for the arts’ programme, supporting awards between £1,000 and £100,000. Heritage Lottery Fund small grants will be provided through ‘Your Heritage’ (£3,000 to £50,000) programme for projects which either care for heritage or increase people’s understanding and enjoyment of it. The Ecological Education Grants (EEGs) are to enable teachers to make their teaching of ecology more innovative, interesting and exciting. Grants of up to £750 are available to primary, secondary and tertiary schools to support initiatives to enhance school grounds as ideal places to teach practical ecology. Funding is available for initiatives such as for example building a school pond or developing a nature reserve, etc. The Goldsmiths’ Charity’s policy is to give small grants: the average grant in 2004/2005 was approximately £3,000. Where a grant is exceptionally made payable in stages over a period of more than one year (a recurring grant), each annual payment will be considered on its own merit and repeat payments cannot be assumed. Appeals are considered monthly except in August and September, and there is usually a three to four month delay between receipt of an appeal and a decision being made. Applications from any organisation, whether successful or not, are not normally considered more frequently than once every three years. The Chase Charity and the Lankelly Foundation were established through the generosity of two separate entrepreneurs. The Chase Charity was founded in 1962 and the Lankelly Foundation six years later. After many years of working together, in 2005 the two Trusts formed the LankellyChase Foundation. Current small grant priorities include Young People and the Arts and Local People, Local Places. Financial assistance is available to improve educational opportunities for children and young people, particularly from under-privileged backgrounds. The Sutton Trust works primarily with organisations such as schools, universities, community groups, charities and research bodies. Grants of up to £50,000 available, but most fall within the £10,000 to £25,000 range. The Trust is particularly interested in supporting innovative projects and pilot schemes that have the potential to benefit large numbers, and in new research. In addition the Trust sponsors 4 Specialist Schools per year. The Robertson Trust is an independent Scottish grant-making Trust which exists to provide financial support to registered charities operating in the areas of Care, Health, Education and Training and Community Art and Sport. Each year the Trust makes available approximately £6 million in funding and approves in the region of 400 new grants. These can range in size from £500 to large capital donations in excess of £100,000. Applications can be submitted at any time. This includes support for capital developments at education establishments particularly where community use is encouraged, projects for young people with special needs, informal community- based education activities including youth training and projects which encourage links between the family and school. 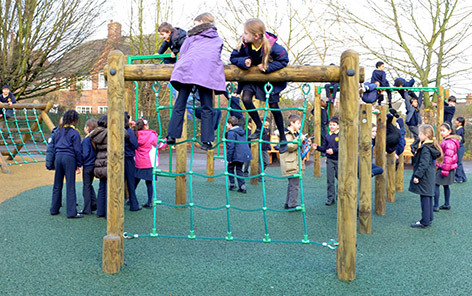 Try to apply the good practice rules contained within this resource when you come to write a small grant application for your outdoor/playground project. Never assume that a funding body, whether local, regional or national, is familiar with your community, your school, the geographical area, local issues or your educational track record/reputation. Always include a context for your project that demonstrates your expertise as a school and the need for the project. If you are going to use acronyms within your application include a glossary. Fundraising success can have a domino effect. It is infectious. Success breeds success for a number of reasons. Schools that have been awarded grants from a range of sources automatically earn a reputation with other funders. Success also demonstrates that other funders have confidence in the school. And, funds can be ‘matched’ against other funds to increase your chances. Remember, success sells more than sympathy, so present a positive image of your school and your future plans to the funder. Think about that crucial first impression – how can you provide a punchy first paragraph to give a strong impression of your project. If you can’t communicate a belief in what you do then how can you expect a funder to be enthused? We all relate to, and remember stories better than abstracted concepts. Good stories are about people – human interest grips us all. People are the best carriers of vision and ideas; and, ultimately, funds are made available for the benefit of people not organisations. Use personal examples. And ask yourself, does your application draw out benefits that will be made to people, whether parents, pupils, staff or the wider community? Assessors tend to adopt a critical reading style when appraising applications, helping them to skim and review a bid. The following writing techniques will improve the critical review of your application. Technique When to Use Why? There is a lot of debate amongst fundraisers over typeface preference! Arial is widely favoured for ease on the eye. Sans serif typefaces (Verdana, Arial, Tahoma) are clearer to read. Serif typefaces such as Times New Roman and Courier are more “traditional” and have small strokes that finish off the main stroke of the letter. The evidence you can use within grant applications falls into main two categories; school and community. You can use evidence to present a picture of your school to a funding body and to support your case for funding. Never assume that anyone knows about your school’s reputation (good or bad), or details about the local area and its needs. Labour market data – is there a high level of unemployment in your area? What difference will the grant make? To answer this question effectively let’s assume you are applying for a small grant to start an after school dance club. Try to adopt the writing style used in example 3. 4. or 5. Answer 5. Gives the best evidence! Q. What difference do you hope the grant will make? A. The project would not be possible without your support. We would not be able to meet the needs of pupils interested in contemporary dance. A. The contemporary dance scene is a great way to show young people diversity in action. This project will promote cultural diversity through group discussion and participation in world music. A. The idea came from pupils who spend time listening to R & B and watching music videos. Pupils will get the chance to be fit, have fun, and learn about new dance forms from a trained dancer. A. A dance group of up to 20 pupils will perform at a Community festival in mid-2012. They will choreograph moves, design costumes and choose a name for the group. It is hoped that the group will go on to perform at other community venues. A. We will arrange peer group auditions at the end of the project to increase pupil confidence and performance ability. Let us know how you get on and feel free to get in touch at any stage!